Sleeping Beauty was one of my favorite childhood Disney movies. The new grown-up addition, Maleficent, comes out May 30, with Angelina Jolie perfectly cast as the villainous lead. The theme song for the movie may be “Once Upon a Dream,” (have you heard Lana Del Ray sing it in the trailer? It sent shivers down my back! 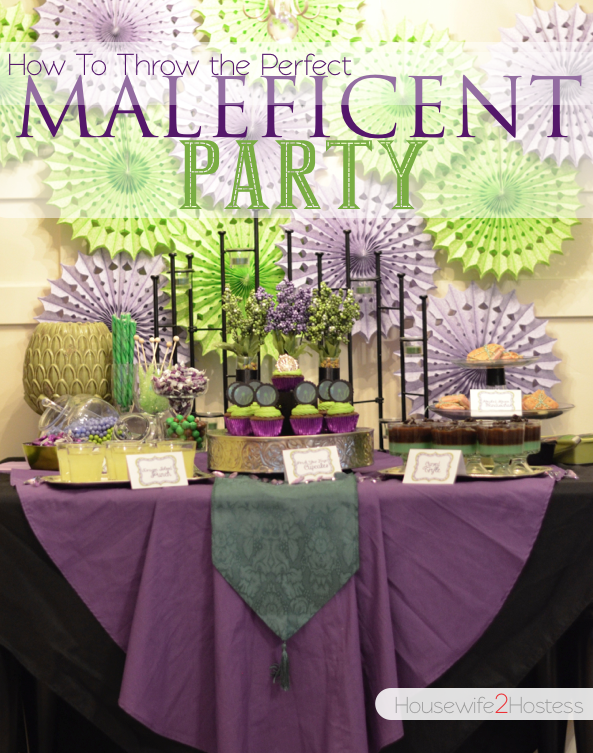 ), but Look by Liz Lewis and I made Maleficent a reality last night, styling a children’s party in anticipation of the film’s release. The photos are just a sneak peak of all the tips and tricks we have for you to host your own party, for adults or children! We’ll show you sinister snacks, a Maleficent makeup tutorial, thrifty party decor, malicious mocktails, and recipes galore. Set a date now, because you’ll want to start planning ASAP after we unleash all the wicked ways you need to throw the party of the year! Gorgeous, gorgeous, gorgeous. I love this. Great photos and great concept! Mind=Blown! This is downright stunning!